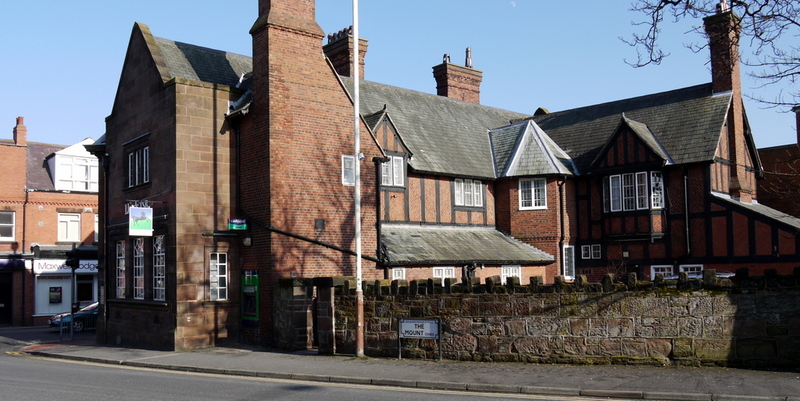 In Heswall and Gayton there are eight buildings listed as of architectural and historic interest by The Secretary of State for the Department of the Environment in Heswall and Gayton. This listing gives buildings protection against demolition and alteration. The following summary is based on the reasons given the buildings being selected for greater protection. A star indicates that part of the interior is also of historic or architectural interest. Built in 1907 to designs by Grayson and Ould. Described as a varied and well managed complex design by GH Grayson, a talented Cheshire architect who did important work at Trinity Hall, Cambridge. Sandstone ashlar, some half timberwork and a Cumbrian slated roof. Built in the late 17th Century but recased in c1750. Brick with sandstone dressings and a slated roof in three storeys standing on a stone base, the exterior and much of the interior is listed. Two oaks in the garden named William and Mary commemorate the visit of William of Orange who stayed here. Brick with stone dressings and base. Inscribed lintel of Edward Glegg and two vertical bullseye openings. An old farm house with a date stone inscribed RCM 1761. Brick with stone and slate roof in two storeys with later bays on the right converted from farm buildings Raking stone buttress. Built in the mid 18th century or earlier, a stone constructed conical tower, now converted to a dwelling house. A farmhouse, now divided into two, with a a datestone RS 1604 (Sir Rowland Stanley). Built of stone with two storeys and attics under a slate roof. 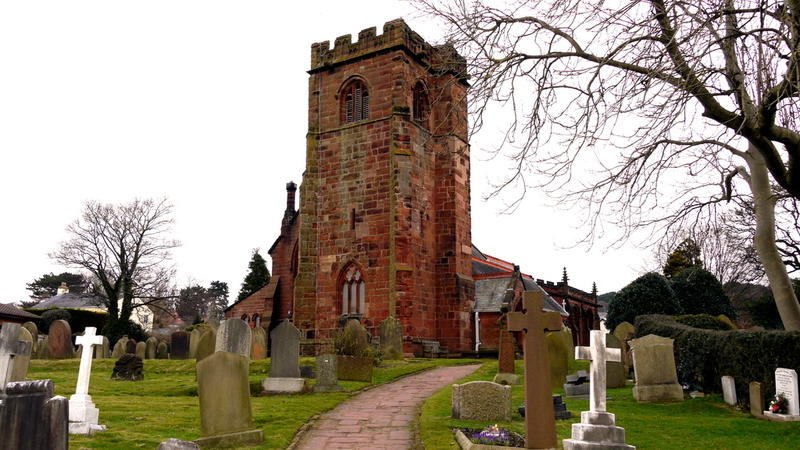 The parish church with a part 14th Century tower, the bell stage late 15th Century. The main body of the church was rebuilt in 1879 with an added chapel in 1893 by JF Doyle. Sandstone with a slated roof. Wall tablets and armorial panels to the Gleggs and reredos and stained glass by CE Kempe. Sundial dated 1726 in stone with baluster form on two circular steps. Octagonal plate and gnomen (now missing).